Wright State University takes pride in its beautiful 557-acre campus, which includes lush forests and a biology preserve. The university’s state-of-the-art facilities include 71 academic and academic support buildings, 33 student residential buildings, and a world-class entertainment and athletics venue. Underground tunnels connect 20 of 22 buildings in the academic section of campus, shielding students and employees from any adverse weather and adding to the university’s national reputation for accessibility for those with disabilities. The $17 million, 67,000-square-foot Student Success Center opened in the fall of 2015 to provide academic support and motivate students to achieve their potential. It is home to University College, where more than 6,000 students receive guidance and academic support to ensure a successful transition to college, develop skills for civic engagement, and encourage lifelong learning. Students have access to the Math Learning Center, the University Writing Center, Academic Advising, Tutoring Services, and an active-learning Math Studio, all housed in the Student Success Center. The Creative Arts Center is undergoing a $22 million renovation. 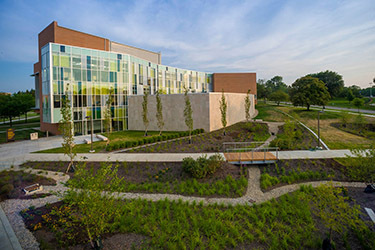 In addition to classroom and faculty spaces, the facility features two concert halls and two theaters that provide settings for plays and dance performances; concerts by the orchestra, chorus, and several instrumental groups; and other performances and exhibitions by visiting artists as well as students and faculty. 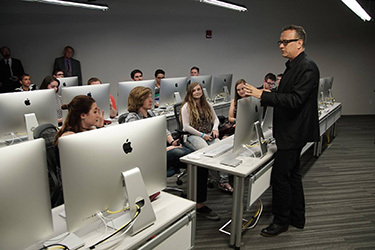 The Tom Hanks Center for Motion Pictures is a state-of-the-art facility housing the university’s award-winning motion pictures programs. Students study all aspects of the industry, including directing, producing, camera work, art directing, and scriptwriting as well as film theory, history, and criticism. Hanks, who dedicated the facility in April 2016, also supported the university as the national honorary cochair of Rise. Shine. The Campaign for Wright State University. 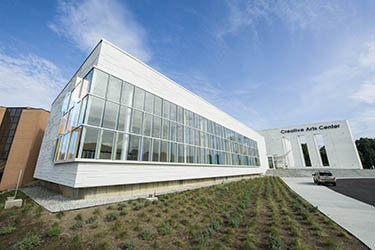 The $37 million Neuroscience Engineering Collaboration Building opened in April 2015, bringing researchers from six disciplines under one roof to work with area health professionals to understand brain, spinal cord, and nerve disorders and develop treatments and devices. 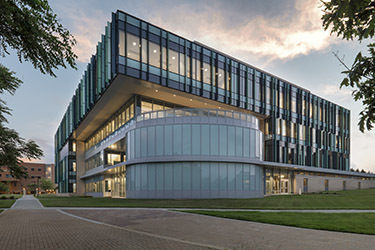 The building is designed to foster research projects that break new ground by putting neuroscientists, engineers, and clinicians in a collaborative environment. The University Libraries include the Paul Laurence Dunbar Library, the Lake Campus Learning Center, the Student Technology Assistance Center (STAC), and Special Collections and Archives. 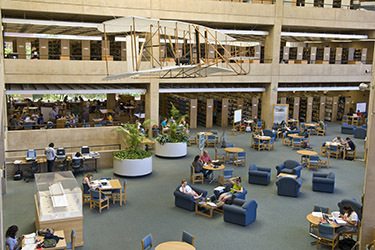 The Wright Brothers Collection, housed in Special Collections and Archives, includes Wilbur and Orville Wright’s technical and personal library, family papers, and thousands of photographs documenting the invention of the airplane and the family’s history. 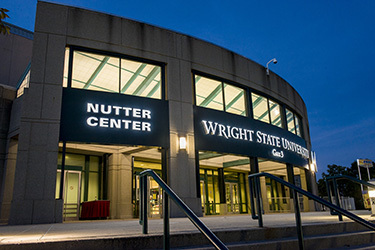 The Wright State University Nutter Center is a world-class entertainment venue and serves as a stage for spectacular concerts, shows, political events, and Wright State Raider athletics. It has become a beacon and ambassador for the university. The $34 million, university-owned Nutter Center is an economic driver for the region, putting money into the pockets of hotels, shops, and restaurants.